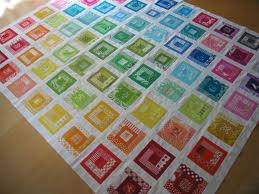 Are you: Looking for a time and space to relax and work on your existing craft project? Stuck on your project (eg. dropped a stitch, unable to follow a tricky pattern) and would like a little assistance from some fellow crafters? 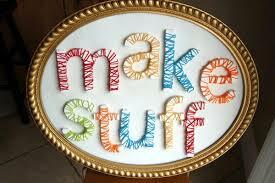 Keen to share new and interesting crafting skills? Then Crafty Devils (a new sub-group of Transition Town Guildford) is for you! The group will be meeting on the 1st and 3rd Saturdays of the month from 1-3 pm at the Guildford Mechanics Institute hall, 20 Meadow Street in Guildford (opposite Stirling Square park, right next to the Post Office) There will be opportunity for free-style creativity as well as structured tutorial sessions. Participants will have the opportunity to choose future projects and even share their skills with the rest of the group via mini-tutorials. 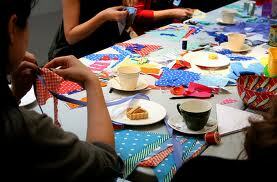 The sessions will alternate between the “craft lab” format and open crafting. Workshop is optional but participation is encouraged! There may be a small additional fee to cover materials/facilitator, but normally there will be just a $5 entry to cover room hire plus tea & coffee. Women and men welcome, but unfortunately we cannot cater for children under 12 (including babies) due to OHS hazards. •5 Oct –Craft Lab: “Plarn, Unravelled!” Bring along some old plastic bags eg. bread bags, shopping bags, and turn them into an unusual but sturdy yarn. You will need a 10mm crochet hook or 10mm knitting needles. Suits people with some experience in knitting or crochet. Workshop 1-2pm, casual crafting 2-3pm (or casual crafting 1-3pm if not doing workshop) Cost: $5 (no extra fee for workshop). Future Craft Lab Options: Soap making, screen printing, woodwork, felting, spinning, making personal care products, leatherwork … and more to be decided by the group! This entry was posted in Arts & Crafts, Community and tagged community, Craft, Crafty Devils, creative, guildford, knitting, recycled, sewing, social, upcycled. Bookmark the permalink. Welcome Crafty Devils, we of the Make New and Mend Group salute you! May you have many happy crafting hours together and warm and creative friendships on your sustainability journey. We look forward to meeting you at some stage over a cuppa and cake – and needles, hooks, threads, fabric and all things creative…Best wishes, Lesley and the Make New and Mend team. PS: Please put us on your mailing list so we can stay in touch.